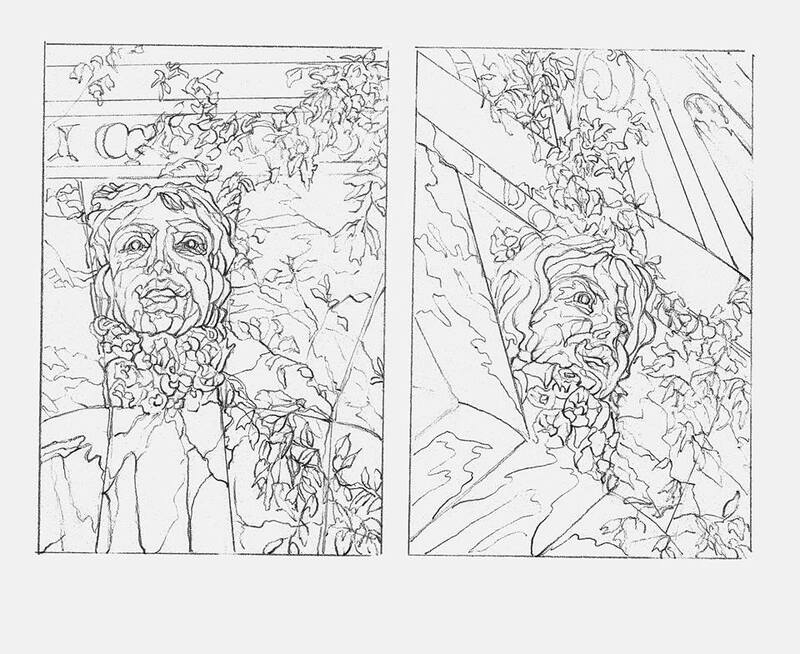 Here are a pair of contours or line drawings of the sculpture of Persephone. Contour drawing lies at the heart of my teaching of drawing. It allows you as the artist to envision your composition; thinking all the way out to the edges. It provides the sense of a light source giving your subjects form or a three dimensional nature, But most importantly, by drawing blind and not keeping one’s head buried in the paper and instead on the subject, it reveals your personality. The hand becomes a tool of the eye and the contour becomes truly unique to you!! You are currently reading The Importance of Contour Drawing at Dr. Mary McNaughton and Drawing.